Labor unions took off in the 1800s as a way to bridge the gap between employers and workers. But now they're in decline. The lifespan of American labor unions is shaped like a bell-curve: struggling to climb at first, then riding high and finally crashing out. The whole up-and-down took about 200 years total. We need to go back to the 1830s. 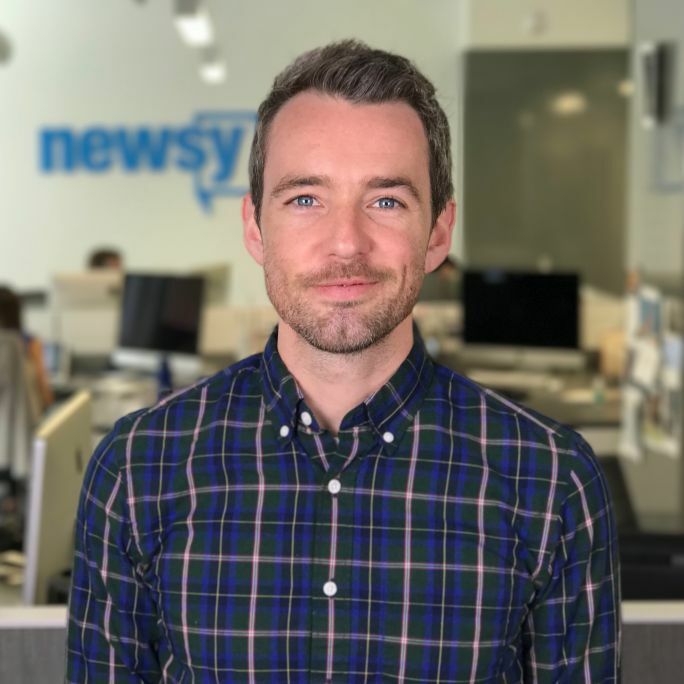 UC Santa Cruz Professor William Domhoff writes, "Industrial development in the early nineteenth century slowly widened the gap between employers and skilled workers, so the workers began to think of industrial factories as a threat to both their wages and status." Craft unions began to form but stayed mostly local, focused on clout and working conditions. Then in 1869, Domhoff says, the Knights of Labor was founded as "a secret society by a handful of Philadelphia garment cutters, who had given up on their own craft union as having any chance to succeed" and turned to galvanizing other workers through meetings and parades. Eventually, violence became part of the picture. The Great Railroad Strike of 1877 was sparked by railroad companies slashing wages by 10 percent and doubling some workers' responsibilities. The University of Houston explains employees walked off the job and blocked commercial routes; it "was the country's first major rail strike and witnessed the first general strike in the nation's history. The strikes and the violence it spawned briefly paralyzed the country's commerce and led governors in ten states to mobilize 60,000 militia members to reopen rail traffic." With similar disputes ongoing, the American Federation of Labor, or AFL, was founded in 1886 and became the largest union. The Library of Congress says Samuel Gompers formed the AFL and tried a new tack: "Instead of trying to reshape the fundamental institutions of American life...the AFL focused on securing for its members higher wages, better working conditions, and a shorter work week." The year 1935 was a turning point. 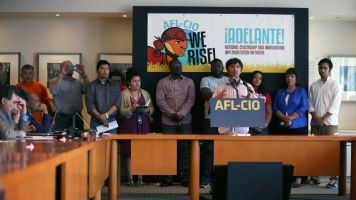 The National Labor Standards Act passed, making union busting illegal and telling businesses they could not "dominate or interfere with the formation or administration of any labor organization." Newly empowered and bursting with membership, the Smithsonian reports, "in 1955, organized labor reached the apex of its power; almost one third of American workers were union members." Didn't last long. By 1978, the Labor Law Reform Act was being debated in Congress. And while no major law ultimately clamped down on the groups, "unions came under attack — in the workplace, in the courts, and in public policy. As a result, union membership has fallen and income inequality has worsened — reaching levels not seen since the 1920s," says the Economic Policy Institute. That brings us to now. 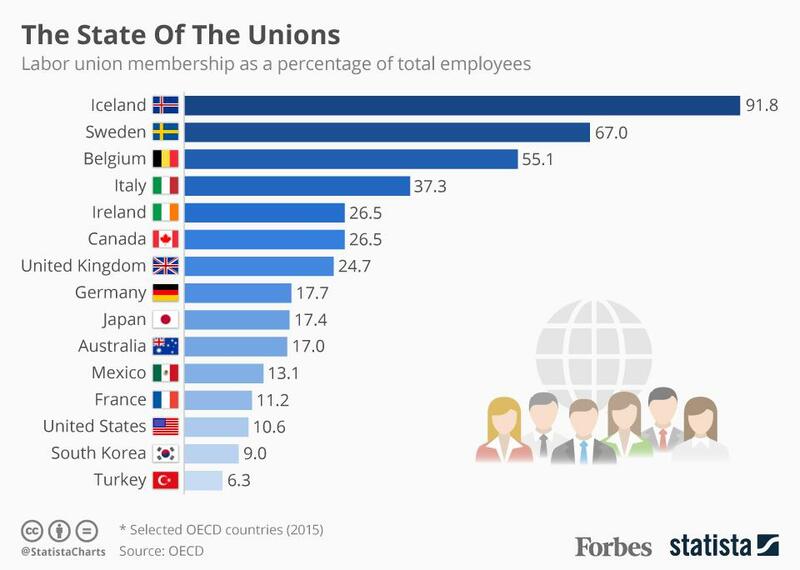 American union membership has plummeted to 10.6 percent according to Forbes, far below many other western nations, like Iceland (91.8 percent), Canada (26.5 percent) and Germany (17.7 percent).